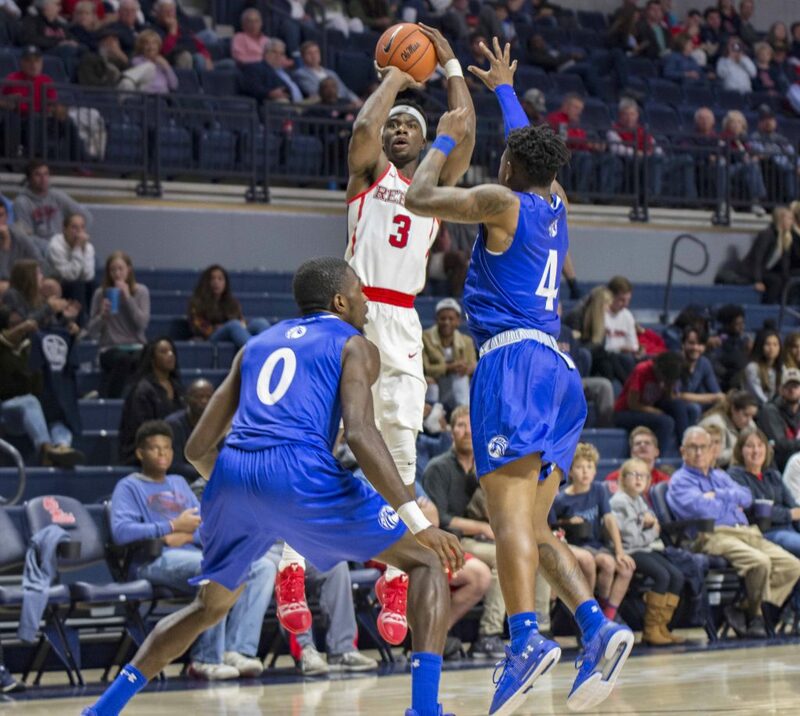 The Ole Miss Rebels enjoyed a 101-52 rout of the Fayetteville State on Friday in the team’s last exhibition before the season gets going. The Broncos are far from the level of competition the Rebels will face during the 2018-2019 season, but Ole Miss showed real improvement on both sides of the ball under new head coach Kermit Davis. Ole Miss was expected to start Bruce Stevens, but instead called on freshman forwards Blake Hinson and KJ Buffen to start with Stevens coming off the bench later in the game. The move to bring Stevens off the bench paid off as the big man shined in the Rebels’ first live action in the Pavilion, posting a double-double with 16 points and 10 rebounds. Dominik Olejniczak also played well and contributed 15 points along with three blocks on the defensive end. Terence Davis led the team in scoring with 20 points and grabbed nine rebounds. Davis had four assists and managed to finish the game without a turnover, something he struggled with last season. He was also able to show improvement defensively with four blocks and a steal. Another bright spot for the Rebels was the performance they got out of starting freshman Buffen in his Ole Miss debut. Buffen showed his impressive court vision and passing skills throughout the game, leading the team with nine assists. His ability to make plays with the ball in his hands has Coach Davis excited for the future. The Rebels shot 58.6 percent from the field and held the Broncos to 26.7 percent in the 49-point victory. Ole Miss will host their first official game of the Kermit Davis era on Saturday, Nov. 10 against Western Michigan. That matchup is set to tipoff at 3 p.m. on SEC Network+. The performance Friday night added confidence to a team that’s already fired up for the season.